The European Society of Criminology held its annual conference in Vilnius with the theme "Rethinking Crime and Punishment in Europe". IARS was represented through its Director, Dr. Theo Gavrielides, who presented two papers on restorative justice and its Trustee and Chair of the Academic Board, Prof. John Winterdyk. 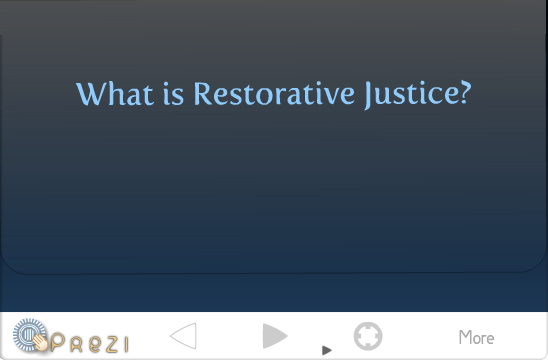 Dr. Theo Gavrielides presented two papers that were based on multi-year research projects on restorative justice. The first focuses on the use of restorative justice in prisons and is part of the EU funded “Mediation and Restorative Justice in Prison Settings” project. The IARS research report is based on a 3 year survey carried out with practitioners, policy makers and users of the prison system and focuses on alternatives for young people. It is due to be launched on the 1st December in central London at a half day seminar to be held in partnership with the Restorative Justice Council. For more information on the seminar click here or contact Sarah Topa [email protected] To download Gavrielides’ presentation click here. The second paper focused on the use of restorative justice with clergy child sexual abuse particularly within the Catholic Church. The paper was based on a 6 year programme that IARS is carrying out in partnership with US based research and civil society organisations. To learn more about this programme click here. To download Gavrielides’ presentation click here. IARS Trustee, Prof. Winterdyk's presentation is titled "Lessons from across the pond: Taking Crime Prevention Seriously" and can be downloaded by clicking here.